After medical schools in Uganda and London, England, he went to the University of Oxford where he did postgraduate clinical training in surgery and also in internal medicine, a doctorate in transplant immunology, and a fellowship in organ transplantation. He was a clinical lecturer in the Nuffield Dept. of Surgery at Oxford for several years before going to the Middle East to help start two medical schools. He was the foundation chair of surgery at Sultan Qaboos University in Oman for a decade before moving to the University of Toronto in 2001. Professor Daar’s academic career has spanned biomedical sciences, organ transplantation, surgery, global health, and bioethics. He works in various advisory or consulting capacities with the UN, the World Health Organization and UNESCO, was a member of the African Union High Level Panel on Modern Biotechnology, and chaired the 4th External Review of the WHO/World Bank/UNDP/UNICEF Special Program on Tropical Diseases Research and Training. He is a Fellow of the Royal Society of Canada, the Academy of Sciences for the Developing World (TWAS), the Canadian Academy of Health Sciences, The Islamic World Academy of Sciences, and the New York Academy of Sciences; and is a Senior Fellow of Massey College, University of Toronto. He is a member of UNESCO’s International Bioethics Committee and was for many years a member of the Ethics Committee of the Human Genome Organization. 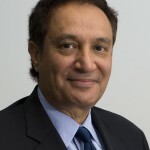 His international awards include the Patey Prize of the Surgical Society of Great Britain, the Hunterian Professorship of the Royal College of Surgeons of England, the UNESCO Avicenna Prize for Ethics of Science, and the Anthony Miller Prize for Research Excellence at the Dalla Lana Faculty of Public Health, University of Toronto. He holds the official world record for performing the youngest kidney transplant. His major research focus is on the use of life sciences to ameliorate global health inequities, with a particular focus on building scientific capacity and increasing innovation in developing countries, in addition to studying how life sciences technologies can be rapidly taken from “lab to village”. He has published over 350 papers in peer-reviewed journals and as chapters in various books. He has also published six books including the latest one co-authored with Dr. Peter Singer, The Grandest Challenge: Taking Life-Saving Science from Lab to Village. He is currently working on a new book called Garment of Destiny. Ontario Genomics Institute, Societal Impact of Genomics Prize, March 2011. · University Entrance Scholarship, Makerere University Medical School, Uganda (1968). Daar AS and Singer PA. The Grandest Challenge: Taking Life-saving Science From Lab To Village. Doubleday/Random House Canada. September, 2011. 1. Acharya T, Daar AS, Thorsteinsdóttir H, Martin DK, Smith AC, Nast S, Singer PA. Top 10 Biotechnologies for Improving Health in Developing Countries. Report: Program in Applied Ethics and Biotechnology- Canadian Program on Genomics and Global Health. University of Toronto Joint Centre for Bioethics. Foreword by Joshua Lederberg. 2002. 3. Caulfield T, Daar AS, Hamet P, Kroeger A, Ling V, McPherson A, Morrow J, Slater B, Closson T. A Report of the Expert Working Party on Human Genetic Materials, Intellectual Property and the Health Sector presented to Canadian Biotechnology Advisory Committee (CBAC). Human Genetic Materials: Making Canada’s Intellectual Property Regime Work for the Health of Canadians. October 2005. Singer PA, Daar AS. Harnessing Genomics and Biotechnology to Improve Global Health Equity. Science 2001 Oct;294(5540):87-9. Daar AS, Thorsteinsdóttir H, Martin DK, Smith AC, Nast S, Singer PA. Top 10 Biotechnologies for Improving Health in Developing Countries. Nature Genetics 2002 Oct;32(2):229-32. Varmus H, Klausner R, Zerhouni E, Acharya T, Daar AS, Singer PA. Public Health. Grand Challenges in Global Health. Science 2003 Oct 17;302(5644):398-9. McKneally MF, Daar AS. Introducing New Technologies: Protecting Subjects of Surgical Innovation and Research. World Journal of Surgery 2003 Aug;27(8):930-4; discussion 934-5. Epub 2003 Jun 26. Daar AS, Dowdeswell E, Singer PA. Genome Diplomacy: Canada’s Crucial Role. Policy Options 2003;24(8):56-61. Benatar SR, Daar AS, Singer PA. Global Health Ethics: The rationale for mutual caring. International Affairs 2003;79:107-38. Daar AS, Singer PA, Persad D, et al. Grand Challenges in Chronic Non-Communicable Diseases. Nature. November 2007. Vol 450, pp. 494-496. Séguin, B., Hardy, B. J., Singer, P. A. & Daar, AS Genomic medicine and developing countries: creating a room of their own. Nature Rev. Genet. 9, 487–493 (2008). Daar AS, Singer PA. Pharmacogenetics and Geographical Ancestry: Implications for Drug Development and Global Health. Nature Reviews Genetics 2005 Mar;6(3):241-6. Simiyu K, Daar AS and Singer PA. Stagnant Health Technologies in Africa. Science (2010) Dec 10;330(6010):1483-4. Shah R, Singer PA and Daar AS. Science-based health innovation in Tanzania: bednets and a base for invention. BMC International Health and Human Rights 2010, Dec 13;10 Suppl 1:S4. Thorsteinsdottir H, Ray M, Kapoor A and Daar AS. Health biotechnology innovation on a global stage. Nature Reviews Microbiology 2011 Feb;9(2):137-43. Lydia Kapiriri, James V. Lavery, Peter A. Singer, Hassan Mshinda, Lorne Babiuk and Abdallah S. Daar. The case for conducting First-in-Human (Phase 0 and Phase 1) clinical trials in low- and middle-income countries. BMC Public Health. October 18, 2011, 11:811. Rosenberg-Yunger ZR, Daar AS, Thorsteinsdóttir H, Martin DK. Priority setting for orphan drugs: an international comparison. Health Policy. 2011 Apr;100(1):25-34. Epub 2010 Oct 18. Sarah E. Ali-Khan, Tomasz Krakowski, Rabia Tahir, Abdallah S. Daar. The use of race, ethnicity and ancestry in human genetic research. June 17, 2011. HUGO Journal. DOI 10.1007/s11568-011-9154-5. Ali-Khan SE, Daar AS. Admixture mapping: from paradigms of race and ethnicity to population history.Hugo J. 2010 Dec;4(1-4):23-34. doi: 10.1007/s11568-010-9145-y. Epub 2010 Sep 26. Thorsteinsdóttir H, Ray M, Kapoor A, Daar AS. Health biotechnology innovation on a global stage.Nature Rev Microbiol. 2011 Feb;9(2):137-43. doi: 10.1038/nrmicro2492. Kamunyori S, Al-Bader S, Sewankambo N, Singer PA, Daar AS..Science-based health innovation in Uganda: creative strategies for applying research to development..BMC Int Health Hum Rights. 2010 Dec 13;10 Suppl 1:S5. doi: 10.1186/1472-698X-10-S1-S5. Shah R, Singer PA, Daar AS.Science-based health innovation in Tanzania: bednets and a base for invention. BMC Int Health Hum Rights. 2010 Dec 13;10 Suppl 1:S4. doi: 10.1186/1472-698X-10-S1-S4. Singh JA, Daar AS, Singer PA..Shared principles of ethics for infant and young child nutrition in the developing world. BMC Public Health. 2010 Jun 8;10:321. doi: 10.1186/1471-2458-10-321. McMahon DS, Thorsteinsdóttir H, Singer PA, Daar AS. Cultivating regenerative medicine innovation in China. Regen Med. 2010 Jan;5(1):35-44. doi: 10.2217/rme.09.78.